In it’s third year, the Toronto Boardgame Jam is a 2-day game designing event starting on Saturday morning and concluding on Sunday evening. In that 48 hours, games are made and the playtested with the other attendees. It’s a wonderfully creative and supportive environment for designers, new and old alike, to meet like-minded people, try out some wacky ideas, and make games! This year, Jay and I were guest speakers at the event as we were fortuitously in the same room at the same time. Even though we were Skype’d in from London, ON, we were able to hold a Q&A session and talk to prospective designers about how to take their games from *cough cough* inspiration to publication. We’ll be sure to support Game Jam in the years to come and foster the development of new game designers and new game designs. If you’re in the Toronto area and want to participate, remember to look out for notices in January 2014! It’s a great time to be a board game fan! Crowd-sourcing sites like Kickstarter are offering more and more board games for players to choose from. In this post we’d like to review some of the best projects that you can support, but first let’s take a quick look at what Kickstarter is, for the uninitiated. If you’re familiar with Kickstarter then just scroll down to the bottom for our take on the hot Kickstarter projects going on right now. 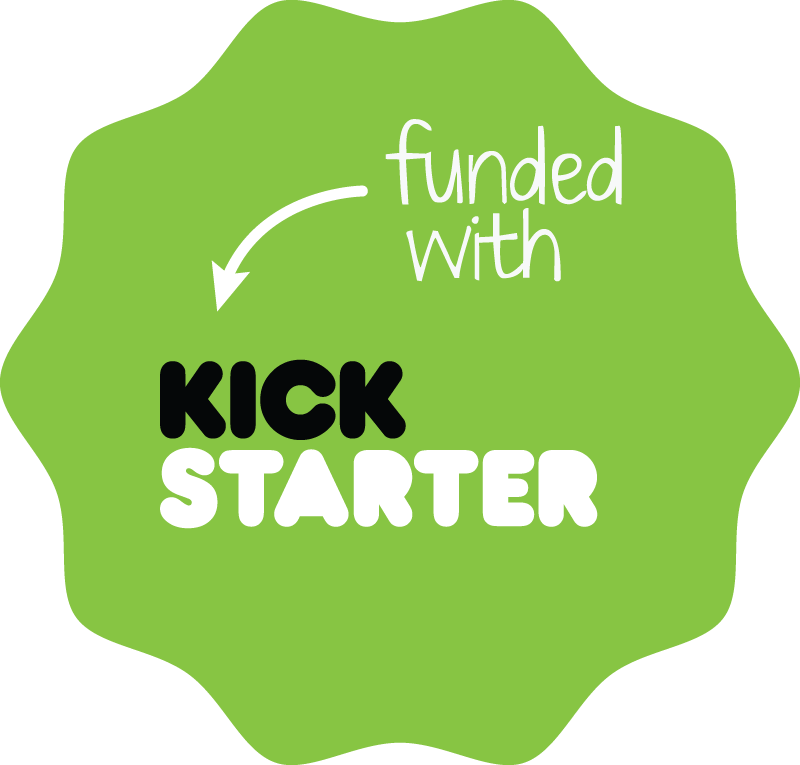 Kickstarter (and others like it, though for board games, Kickstarter is the dominant player) is a crowd-sourcing site. What this means is a person or a company has a project (can be almost anything – but in this case, let’s focus on board games) and they want some financial support from the world. The company sets a target for how much money they need, and then they set how long they’d like the campaign to last – usually around 30 days. People then go to their Kickstarter site and show their support by ‘investing’ in the project.The company has set a variety of different levels that people can invest. The basic level is usually the cost of one game. By investing at this level will mean that if the project gets funded then they will receive a copy of the game. So effectively what we’re all doing is pre-ordering a copy of the game. After the allotted time, if the company did not reach their target, then it is not funded and no one is charged anything. If the target is reached then everyone is charged the amount they invested and the project is happening! To me, this is a fantastic model. Companies put out a game on Kickstarter to see if the public is interested and if the public shows interest in it, then it gets funded and the game is released. If no one is interested in the game, then it won’t happen and will save that company money from investing their own money and trying to release it.Currently 34% of ll games (which includes video games) on Kickstarter have been funded. Kickstarting board games has been going on for a few years now and there has been an evolving art to how to run a successful campaign. I won’t go into all the details, mostly because I haven’t been involved in a Kickstarter project (yet! ), but there’s a skill in determining the Stretch Goals and various packages. Stretch Goals are funding targets that are higher than their original funding target – and if a Stretch Goal is hit then all backers will get some sort of bonus. Usually it’s more content for the game, which can sometimes be an exclusive for Kickstarter backers and sometimes it will even be available in the retail version. D-Day DIce – this one was huge! They wanted $13,000 but raised $171,805. 1321% of their goal! Sentinels of the Universe – Another huge one. $20,000 target but raised $185,200. 926% of their goal! Garden DIce – with art by the amazing Josh Cappel. $10,000 target but raised $15,897. 158% of their goal. Kings of Air and Steam – published by Tasty Minstrel Games with art by good ole Josh Cappel. $10,000 target but raised $41,722. 417% of their goal. Ground Floor – another Tasty Minstrel Game. $15,000 target but raised $116,894. 779% of their goal. One of their Stretch Goals was at $75,000 where everyone who backed the game got another game for FREE called Skyline! Frankendie – a fun party dice game. Goal was $10,000 and raised $13,127. 138% of their goal. Top This! – a flicking game about pizza! Goal was $15,000 and they raised $16,431. 109% of their goal. Airborne in Your Pocket – $30,000 goal but raised $102,010. 340% of their goal. So far we’ve been pleased with all our Kickstarter games! Here are the ones we’re backing right now – and you can join in if you feel so inclined! 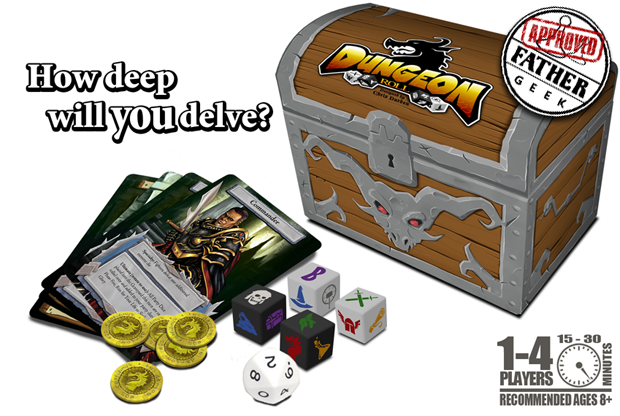 Dungeon Roll – by Tasty Minstrel Games. This one has caught on and still has 10 days left. They wanted $15,000 but are currently up to $106,000! Lots of Stretch Goals have been unlocked so you’re getting a lot for your $15! 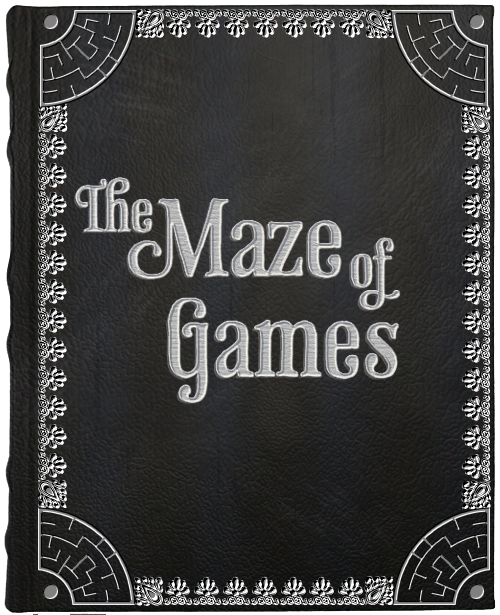 Maze of Games – From game designer Mike Selinker (designer of dozens of games) has created a book full of games, mazes and puzzles. It looks amazing! I secretly think he created this just for me! He targeted $16,000 but has so far raised $137,804! Only 5 days left and so many Stretch Goals have been smashed, so you’re going to get your money’s worth! Machine of Death: The Game of Creative Assassination – this game has quality oozing all over it. They wanted $23,000 but have so far raised $320,437!! Wow! 10 Days still remain. They’ve added a bunch of new options, including a Deluxe wooden box that looks pretty sweet! What other board games should we keep our eye on that’s being Kickstarted? Being a competitive martial artist, I take a lot of showers. A lot. Luckily for me, that’s the place that I do my best thinking! And, as luck would have it, one day while I was in the shower, I had a brainstorm that was kick-started (see what I did there?) by Michael Mindes (he of TMG fame) putting out a call for Micro Games. 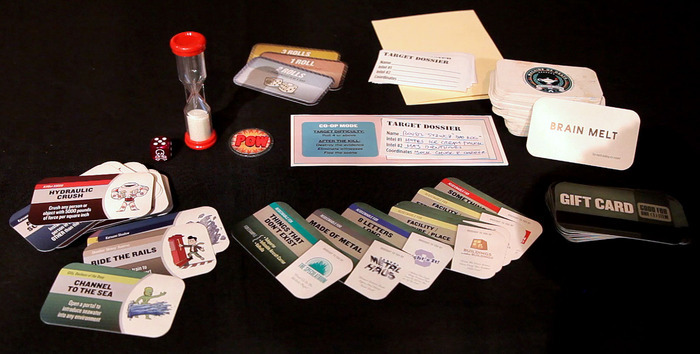 Rob Bartel’s family of sports-themed micro games. What are Micro Games? Think of Seiji Kanai’s 16-card game Love Letter or, even more minimalistic, fellow GAC member Rob Bartel’s Famous First line of “The World’s Smallest Sports Games” that capture the experience of a sport like football with just 9 cards (!) and some coins (that the owner supplies). Jay and I have made several “Games on the Go” (as we like to call them) that were a maximum of 24 tiles with no other components needed, but never something as minimal as 9 cards! I had also recently playtested Michael Eskue’s new micro-game prototype called “Council of Verona” – a few cards and some betting chips made for a surprisingly satisfying yet quick game. So, I thought Jay and I should try to make a micro game, too! This is where the shower comes in or, rather, where I go into the shower. I swear it like when you see martial artists meditating under waterfalls. I just get in “the zone” and block everything else out and BAM! It hits me, like a fist. Or a chop. Or an index finger to the sternum. I thought to myself, “If there’s not a lot of components, what else can we use to do things with?” which lead me to the thought that we could do things with our hands! Jay and I had this idea once where you used baseball hand signs to try to communicate an idea. It never went anywhere. But with this new constraint of having to deal with minimal components adding to the “design pressure”, my brain was working overtime to figure out how to compensate for this limitation and still make a good game. I love sushi and I love games. Josh’s Wasabi is both! Now, Jay and Josh Cappel (the illustrator/graphic designer for Belfort and numerous other games, include his own design, Wasabi) and I have been wanting to make a game together for a while to try to do the whole self-publishing thing (NOW you get the Kickstarter joke above) and what better way to get our feet wet than a small game? We discussed it online briefly via chat and our forum. Then, fortuitously, Jay was in town for a work function. So I drove to Toronto on a horribly snowy night (Slush-ageddon, actually), to meet up with him and Josh. We spent an evening sequestered at Josh’s place in Toronto with nothing but some old cards, a pad of newsprint, some sharpies and our bit boxes. By the end of the night, we had come up with a game that used about 8 cards, a small board, and some counters that was amazingly successful. It came together really quick! After making some adjustments, adding some content, and playtesting it several times with my game group in London we’ve got some more feedback and are pretty confident that if there was a game that the three of us would work together to self-publish, this could be it! Also, it’s not really a micro-game anymore as it’s fleshed out a bit more to 2 x 15 card decks, a board, 2 types of major tokens, and a few other tokens (including the ubiquitous Start Player token). Micro-games – are they the new black? They’re definitely a market we’d like to explore, especially in this Kickstarter age. We’d love to try our hand at leading a campaign but with a product that is manageable. A micro-game (or something smaller than a big box gamer game like the one we’re talking about above), would definitely feel more “do-able” for first timers like us. The Power Of The Internet – by being able to communicate on a regular basis with Jay and Josh, we were able to bandy a lot of the ideas for this game about and get on the same page before sitting down with each other at the same table to create it. Hopefully, we’ll be able to tell you all more about this game as things progress. Like a title, even…For now, we’ll try to maintain and air of mystery before we all go gushing about it everywhere – let’s just say that it’s heavy on the bluffing element! Until later, game on, gamers!